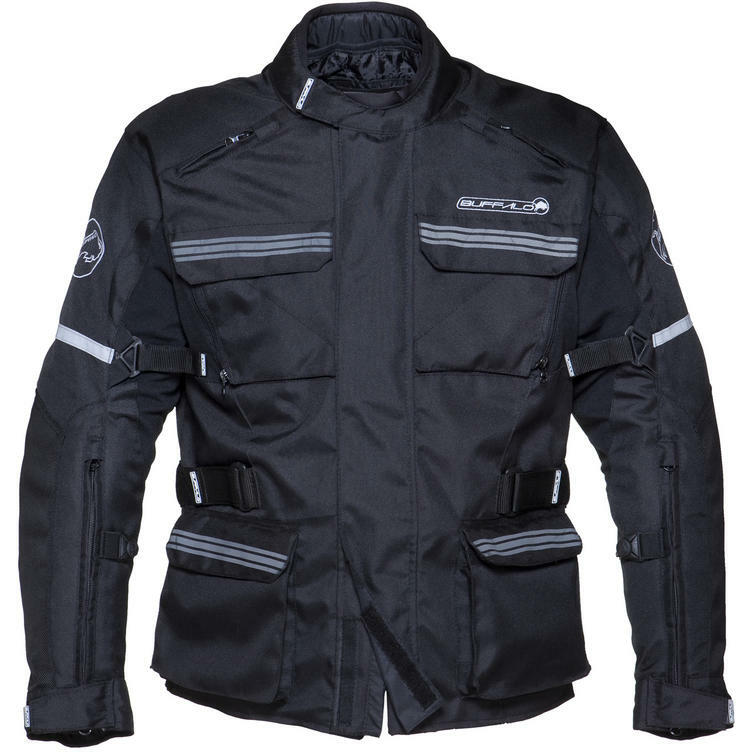 The Buffalo Scope Touring Motorcycle Jacket is brand new and only available at GhostBikes. Need a new jacket this season? Then the Buffalo Scope should be within your sights. The Scope features a 3 in 1 construction, consisting of a thermal base layer and waterproof membrane. The heavy duty outer construction consists of CE approved shoulder and elbow armour with additional room for a CE approved back insert. 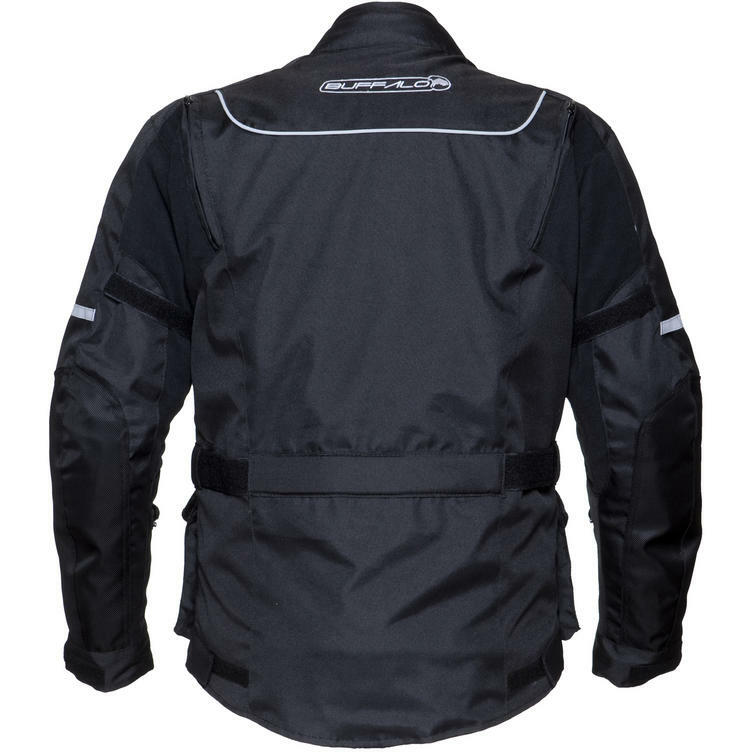 With Scotchlite reflective panels this jacket will keep you safe, making you even more visible in all weather conditions, day or night. It has a fully adjustable fit across the waist, chest, cuffs to ensure that you will always have a perfect fit, allowing you to relax and concentrate more on the road. The Buffalo Scope Jacket is not only packed with features and constructed only from the best quality materials, but also boasts a great price that leaves its competitors in the dust. Get yours at GhostBikes today! 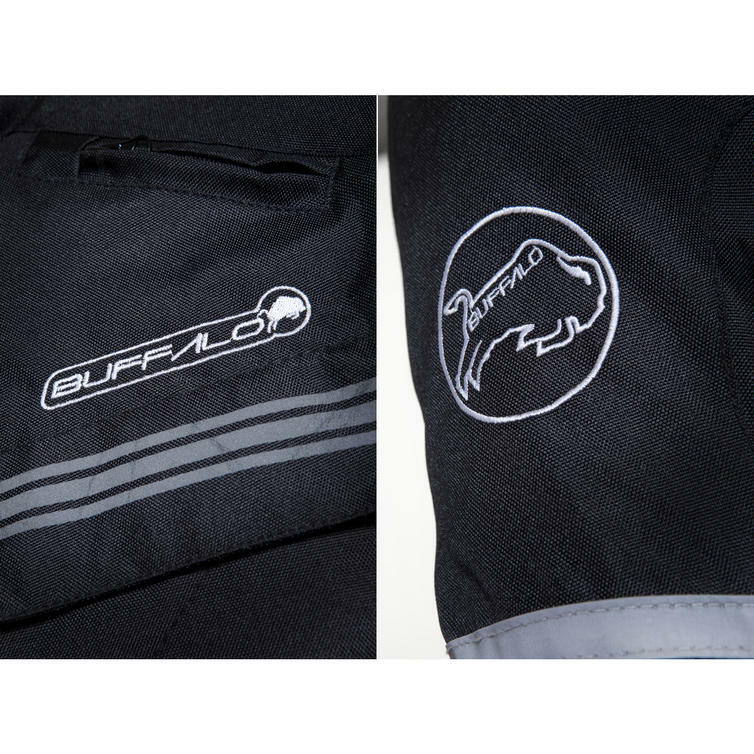 GhostBikes now stock a full range of Buffalo Clothing. Please click here to see what's currently available. 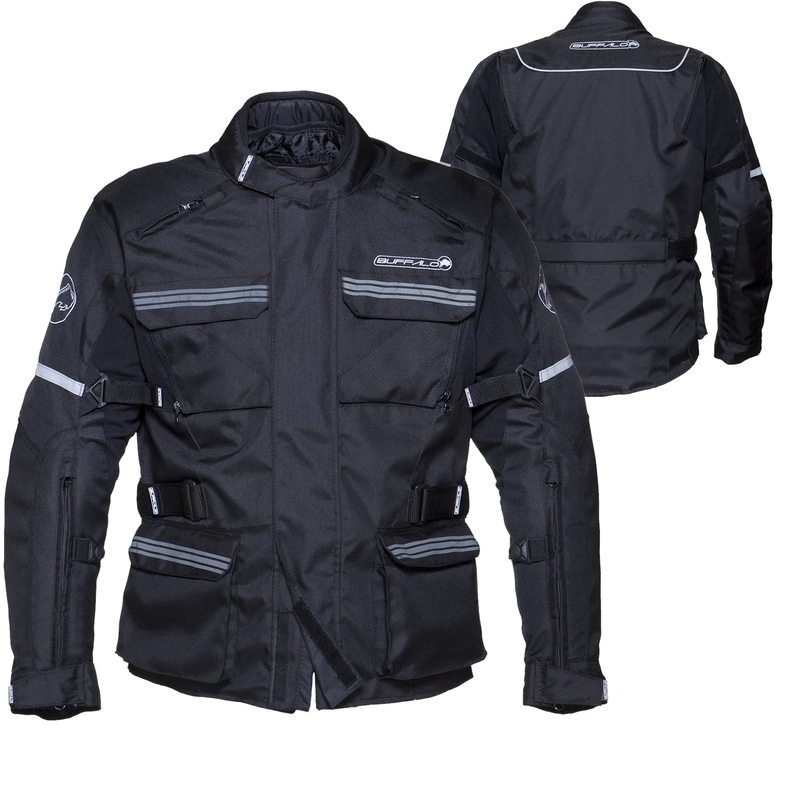 Dual Centre Zip - Remain protected from the elements with the dual zip up system. 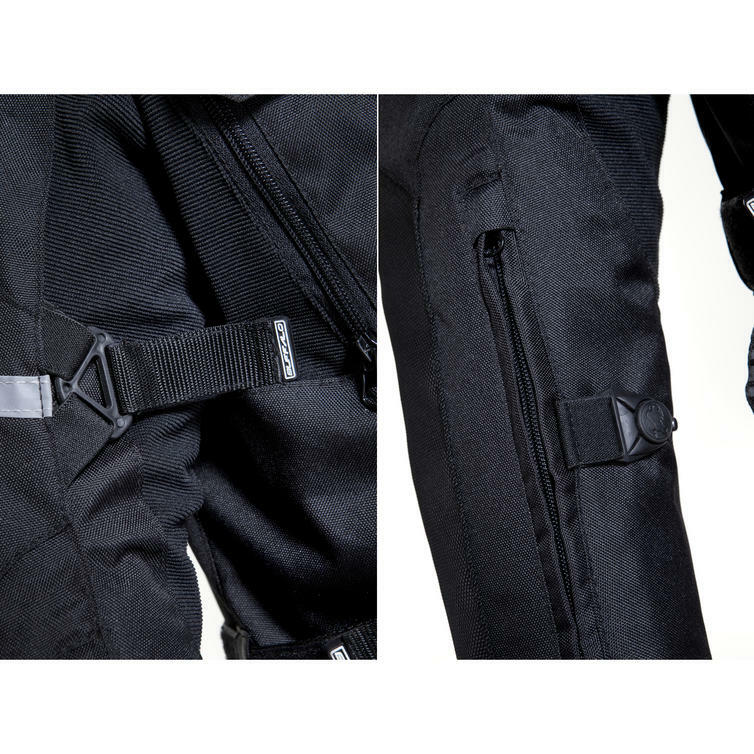 6 Inch Short and Full Length Rear Trouser Attachment Zips - create a full one piece suit with these attachment points. The Buffalo Scope 3 In 1 Waterproof Motorcycle Jackets are currently available in the colours shown in the product variation above, if there is no variation option, they will be available in the colours as shown in the pictures.